Shanghai Motor Show 2013 is what every company is taking as an opportunity to display their armoury for the onslaught they are planning for this year. And its not just the concept cars that are being displayed at the automobile festival but the facelifted versions of the existing cars are also making their way to the launchpad. 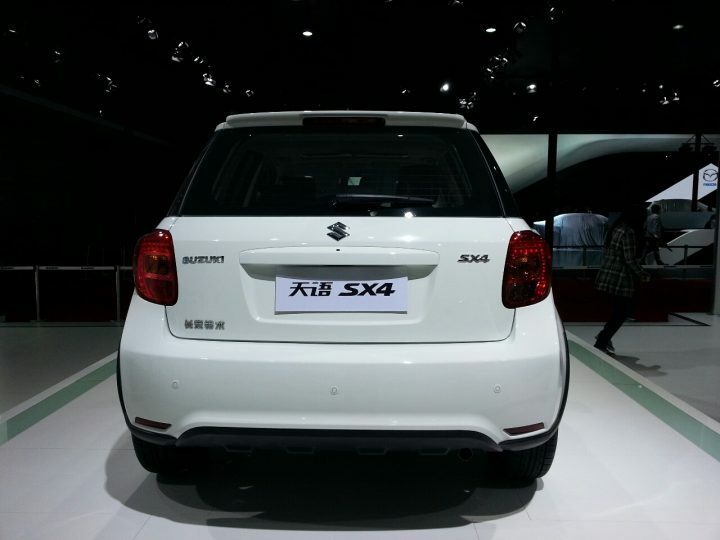 Suzuki has launched the facelifted version of the Suzuki SX4 Crossover for China and the same might just make its way to India as well. The front and rear of the car get facelifted and the car gets a pretty well revamped front fascia. It gets new headlights, a tweaked bumper and a new grille. The fog lamps get a new housing as well and new air dam too. The car’s front looks more aggressive than before and looks better the outgoing SX4 crossover. The front fascia of the car looks quite aerodynamic as well now which will enhance the performance of the car. The car gets a new design for its alloys and roof rails are a newer unit as well. Its not just the front where the changes can be seen. The rear of the car gets tweaked as well with the bumper getting re-profiled and the tail lamps being slightly tweaked. 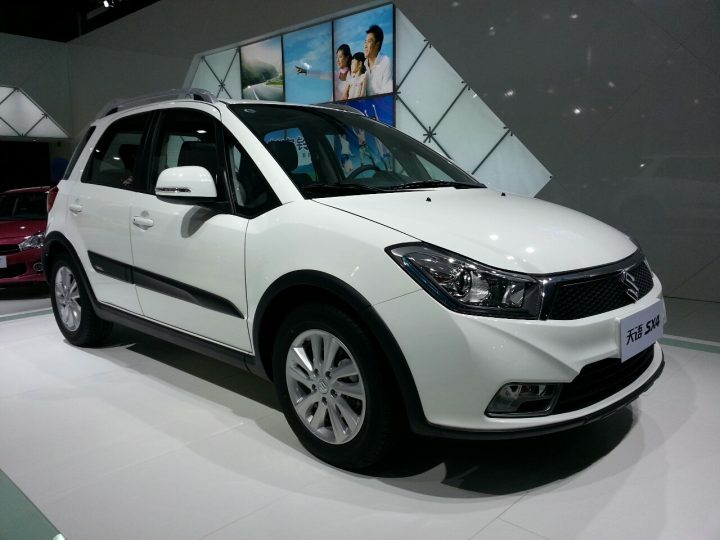 The crossover is quite popular in China and its sedan version is present in India which just got itself a facelift. But we can not rule out the possibilty of the facelift seeping down to the sedan as well. The car remains pretty similar on the inside to the outgoing version. The motors of the car will remain similar to the earlier ones which are 1.6 litre and 1.8 litre motors. The former pumps out 109 bhp and the latter pumps out 131 bhp. The pricing of the car will start from 85,000 Yuan which translates into Rs.7.41 lakhs in Indian currency and go up till 1,35,000 Yuan which translates into Rs. 11.78 lakhs. 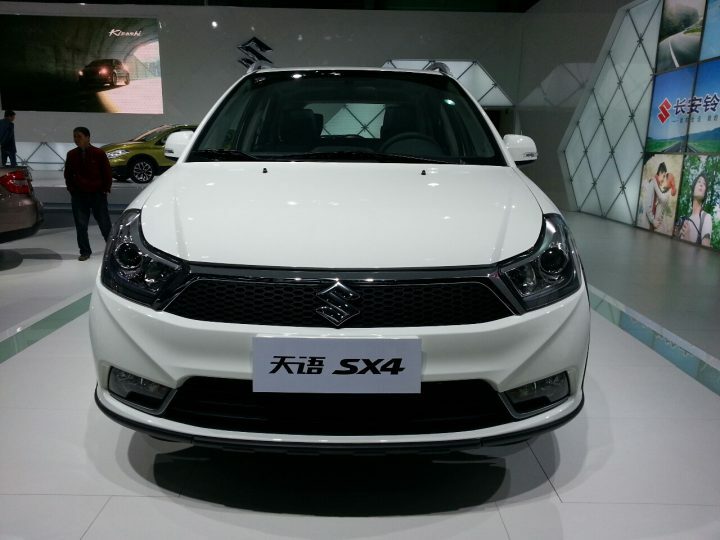 Interesting part of this news is that Suzuki has already revealed its 2014 Suzuki SX4 Crossover at Geneva for western markets, but the older model (which has been facelifted) is expected to co-exist in some countries like China. Stay tuned to Car Blog India for more updates regarding the automotive news from around the world.